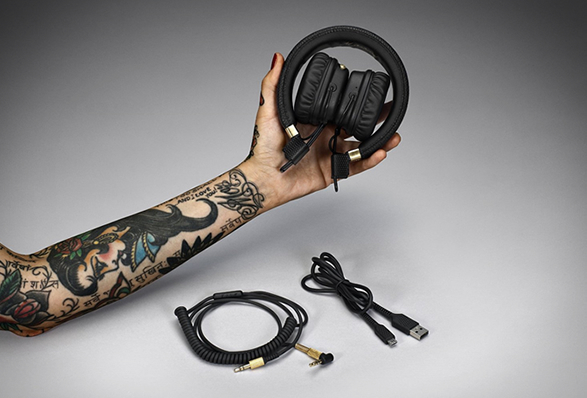 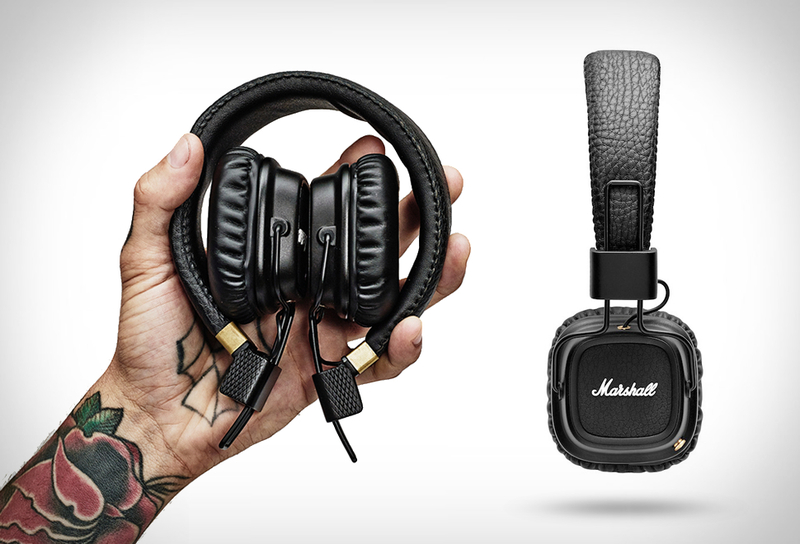 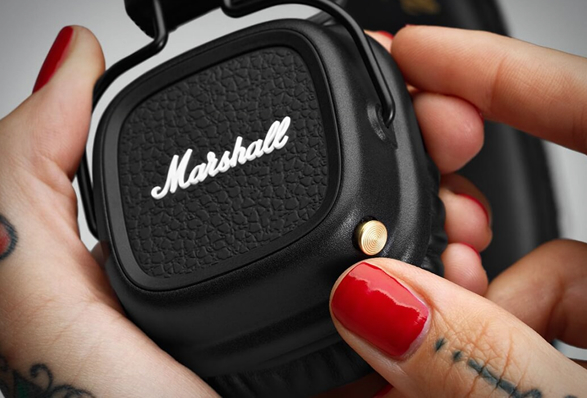 Iconic brand Marshall have cut the cord and added Bluetooth to their popular Major Headphone set. 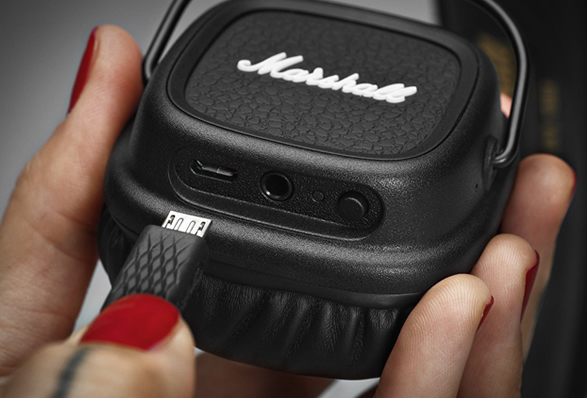 The new wireless Major II Bluetooth headphones keep the same stylish look and stay true to its classic design, but now feature a battery life (30+ hours play time) that puts the competition to shame. 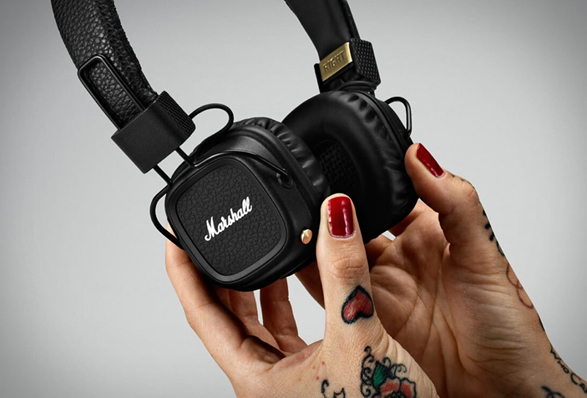 They also feature CD-like streaming quality thanks to Bluetooth aptX technology, a built-in microphone for taking calls wirelessly, and an analog control knob on the left earcup which allows listeners to play, pause and shuffle tracks, and adjust volume.